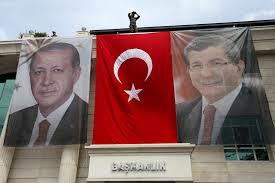 The Turkish general election on June 7th ended more or less as the polls predicted. The only small surprise was that the Kurdish Party (HDP) ended with 13% of the vote rather than either falling just below or above the 10% threshold needed for parliamentary participation. By clearing the 10% hurdle, the HDP denies the winner, Erdoğan Justice and Development Party (AKP), the majority required to form a new government. This means either a coalition, currently deemed unlikely and even undesirable, or a minority government with a new set of general elections scheduled in coming months. What is so striking about the world media reactions is their failure to note these encouraging developments, or to take balanced account of the dignified acceptance of the public will exhibited by the existing Turkish leadership. The AKP Chairman and Prime Minister Ahmet Davutoğlu, said simply “This nation’s decision is the best decision,” indicating respect for the outcome. So far, as well, Erdoğan has in no way challenged the vote that was certainly, in part, a defeat for his insistence that the ‘New Turkey’ would be more successful if it shifted to a presidential system. He has not lived up to the Putinesque persona that his detractors have long insisted upon. It may also be a time for bringing back the steady hand of Abdullah Gul to the governing process. It would be a further sign of the ability of the AKP to learn from its mistakes, and to provide Turkey with the best possible leadership.